Volvo’s 544 was arguably the first foray for Swedish cars in the North American market that successfully built the foundation of Volvo’s reputation there, and perhaps even Swedish cars in general. It’s a sporting but sturdy car with plenty of interior room. Its styling, which was dated even when it was new, also started a long-lasting trend for Volvo – while later Volvos were not dated when new, Volvo did make the most of every design, getting more value out of each one than most manufacturers would. 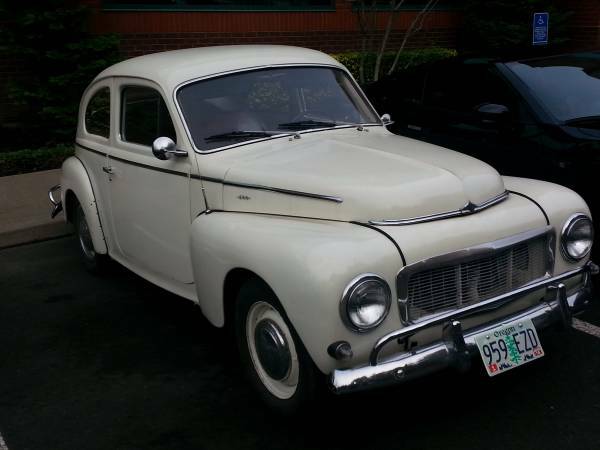 Check out this 1964 Volvo 544 for sale for $3950 in Tigard, OR. This car works well in white – it looks like it’s ready for some pseudo-period-rally stickers, wheels, and lights. While you could argue this design was old-fashioned 17 years after it debuted as the slighty different 444, put it next to the VW Beetle or Saab 93 and it doesn’t look so outdated. The overall stock, straight feeling of this particular car is very appealing from a buyer’s perspective. 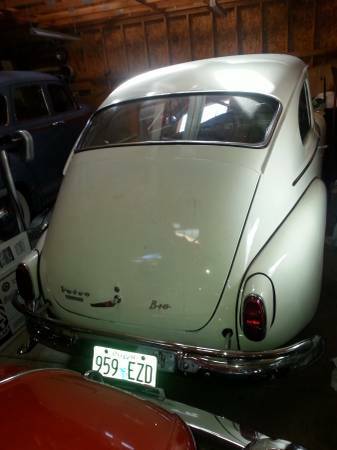 The rear end is pretty bulbous, but that should give good luggage room for those family vintage car outings. The seller says he’s done plenty of work to the car since purchasing it, including a rebuilt carb and new brake system. Everything electrical – barring the period Sears radio – is said to work fine, and the car is said to start and run well. Prep on the last paint job was less than perfect, so expect a 10-footer, but that’s probably fine for exploring back roads. The interior has had a recent cleaning, though the seats do seem to show their age in this picture. The seller does concede there is some rust in the door bottoms, which he didn’t notice at purchase, but they are out of sight. There are also a couple of patch panels in the floors. Treating and watching seems like it would be the right approach here. Unfortunately, there are no pictures of the engine, but there’s pressure on the seller in the form of a new project arriving, so if you’re after a 544, this could be a good deal. This entry was posted on October 28, 2015 at 11:36 am and is filed under Feature. You can follow any responses to this entry through the RSS 2.0 feed. You can leave a response, or trackback from your own site. 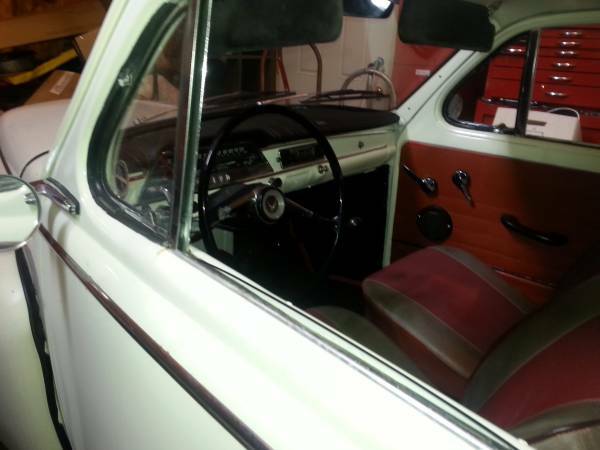 Hi, Is your Volvo PV544 (white) still available?